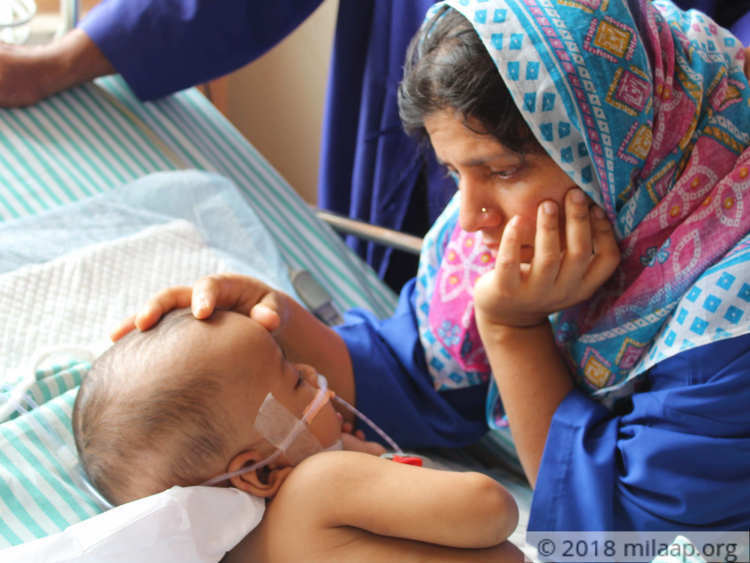 9-month-old Awaiz Shaikh cries uncontrollably when he opens his groggy eyes and sees a nurse tending to him instead of his mother. He is too weak to cry beyond a point and weakness overtakes his body. He cannot move because his tummy is painfully swollen due to a large liver tumor that has landed him in the ICU, where he is fighting just to stay alive. “My baby boy is a fighter. Even doctors are surprised at how he is resiliently holding on to life despite going through so much. But the tumor has completely destroyed his liver I am scared that I will not be able to save him for much longer. "-Shaikh Abdul, father. 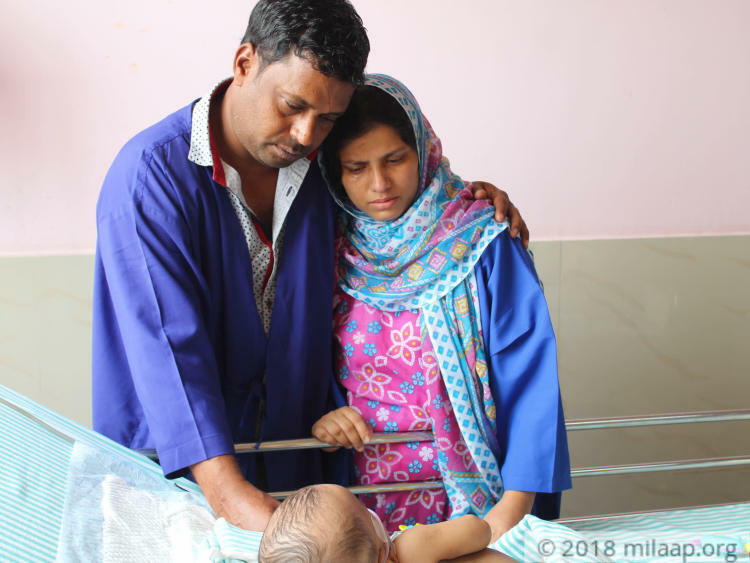 Baby Awaiz was born healthy and did not have any problems until two months ago. He got a fever suddenly that did not subside even after repeated visits to the doctor. He also developed small boils on his forehead that alarmed his parents. “We would take him to a new doctor every other day in Goa. They would prescribe medicines and it would be okay for a day; the next day the fever would come back with full force. He also started getting red boils on his forehead that was very unusual. We were so scared for him because his body was burning at that point of time”.-Sara Shaikh, mother. 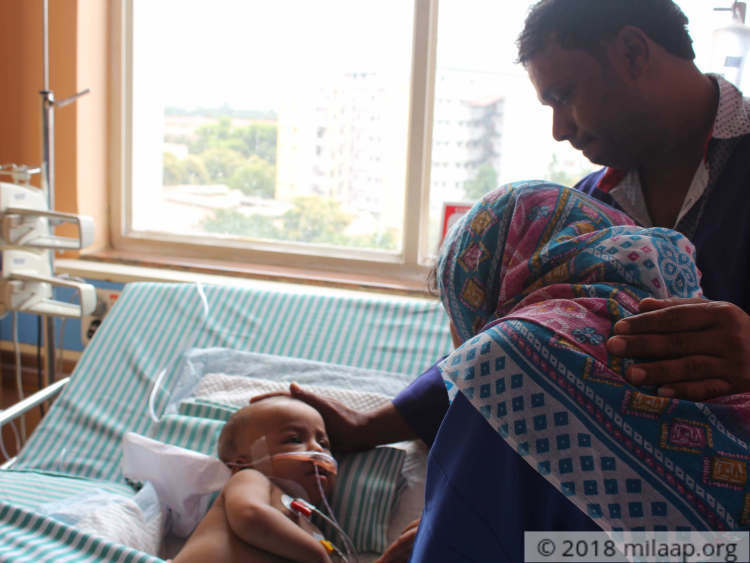 Little Awaiz’s condition worsened on Eid day. He had stopped eating completely and had almost passed out from high fever. While the rest of the world was celebrating, these poor parents were running from pillar to post in the hopes of saving their younger son. “Doctors in Goa said we have to take him to Trichy soon. We borrowed money and took him there without wasting another second. But in Trichy also we didn’t get help. Doctors couldn’t understand what was wrong with him. We were told to go to Hubli- but the same events happened there too. 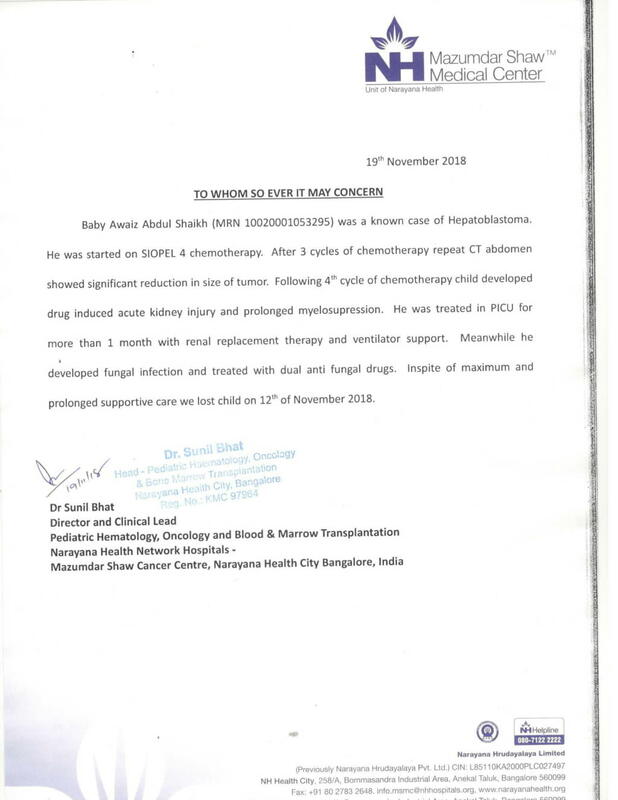 Finally, we had to rent an emergency ambulance and take him to a good hospital Bengaluru in the middle of the night because he was almost dying.”-Shaikh Abdul. “When they told me that my poor baby had cancer, I broke down because I believed it was something related to a bad fever only. The doctors told us that his liver had been infected very badly and was even filled with fluid. My son was always so active; he loved socializing with people and would hardly cry. I wish God had given me cancer instead. What did such a small baby do to deserve such a fate?”-Sara. Awaiz is in a dangerous life-and-death situation. Doctors were able to stabilize his condition, but anything can happen if he does not get proper treatment. His father who works in a hardware shop in Goa had to sell jewelry and exhaust his savings to pay off the hospital bills till now. 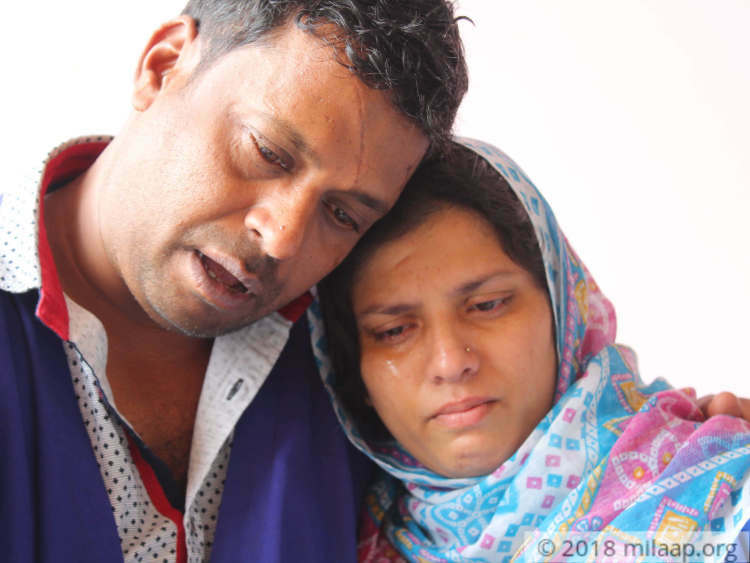 He is not in a position to continue treatment, but his son will die without it. “Every day my elder son, 4-year-old Araiz (who stays with relatives in Bengaluru) asks me when I will bring back Awaiz from the hospital. He says that he is ready to give all his toys to him, he just wants his baby brother to be alright. I don’t know what to tell him. Till now, we were able to manage somehow. But going forward, things will be very difficult. My wife who used to pass out at the sight of blood is trying to stay strong for Awaiz. We pray daily to Allah. Only he can help us now. "-Shaikh Abdul. 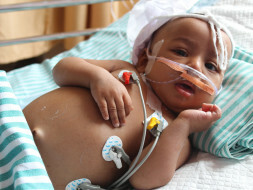 Awaiz needs prolonged chemotherapy and ICU stay to survive. 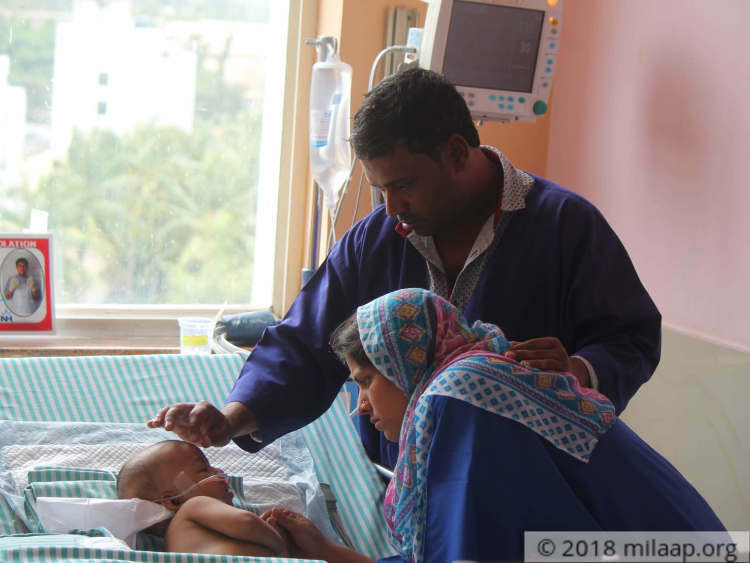 While he is battling the deadly tumor in the ICU, Shaikh Abdul and his wife Sara are fighting a very different battle. Shaikh has not gone to work for the past month. He used to earn Rs 8,000 a month, but now he is penniless. They have rented a single room outside the hospital for Rs 500 per day and hardly have enough money for food left. Forget ICU charges, even medicines and other requirements are out of their reach at the moment. They need help to save their baby boy. Awaiz's conditioned worsened while he was in supportive care and he could not be saved. All the funds raised will be utilized for his medical expenses. 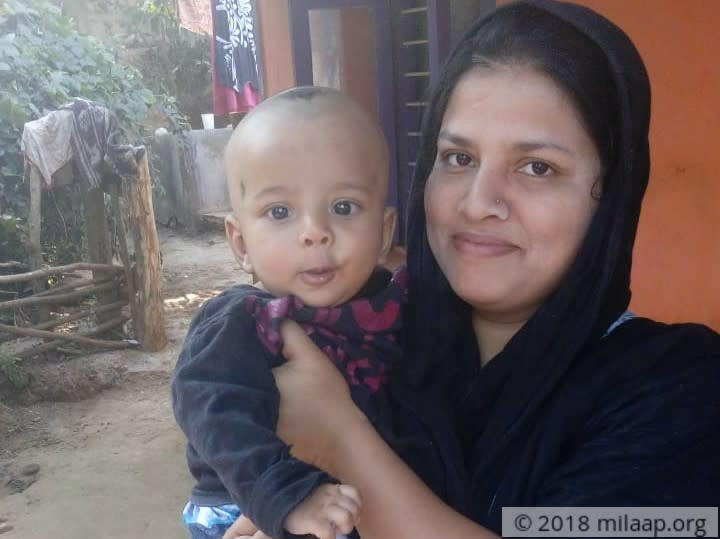 Thank you for the love and support you have shown towards Baby Awaiz Shaikh. Awaiz was undergoing chemotherapy and he was responding well to the treatment. 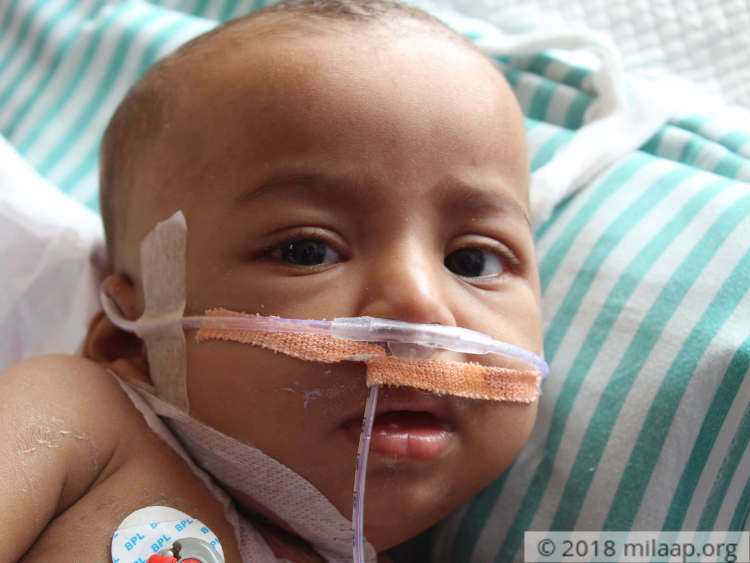 However, after a period of time, his health condition started worsening and was shifted to PICU. Post-admission he has shown improvement and he needs to stay in the ICU for more time to undergo renal replacement therapy and blood transfusions. He is also on antibiotics as prescribed by the doctors. The family needs more funds to continue the treatment. Please support them. 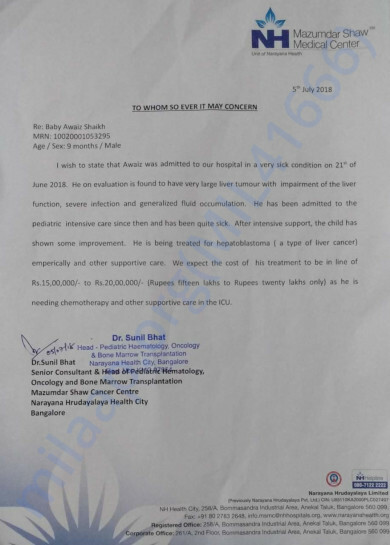 Awaiz's CT scan has shown a good response and he needs a few more cycles of chemotherapy. Once that is done, doctor will run tests and provide the further course of treatment. we will keep you posted.